Caps Australia (CAPS) has extended support to ‘Energise 4 Autism’, a fundraising campaign organised by Hunter Connect during September aimed at helping families living with the challenges of autism. 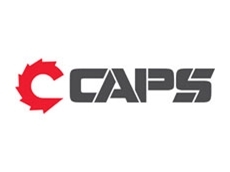 Wayne Hampton, a parts interpreter at CAPS’ Newcastle branch, whose family is affected by Autism Spectrum Disorder (ASD), has taken up the ‘Energise 4 Autism’ challenge to raise funds for this wonderful charity. Hampton has committed to walking 70km a week in September. The challenge suggests participants undertake one healthy change for one month including eating healthier food, drinking healthier fluids, or exercising; however, Wayne has taken his commitment to the cause to a whole new level by embarking on an epic walking journey. Hampton explains that the Energise 4 Autism campaign is about making a positive change in one’s life over 30 days by developing a healthy habit while helping families affected by autism via sponsorship. Hunter Connect, which operates in the Newcastle and Hunter Valley regions of New South Wales (NSW) has identified that the prevalence of children living with Autism Spectrum Disorder (ASD) has increased over the past two decades; The Hunter region has the highest rate of autism in Australia with 1,500 children affected. With social interaction being the greatest challenge for someone with ASD, Hunter Connect assists children with intervention training to help them best handle school environments. These children can be supported by sponsoring Wayne as he embarks on his daily walks for Energise 4 Autism through a tax deductible sponsorship/ donation in his name via the website www.givenow.com.au/hunterconnectenergise4autism.